Manchester is a city located in the southern, central part of the North West of England. Known for its culture, architecture, popular music scene and sport, the area is a hub of cultural activity, scientific research and urban street life. 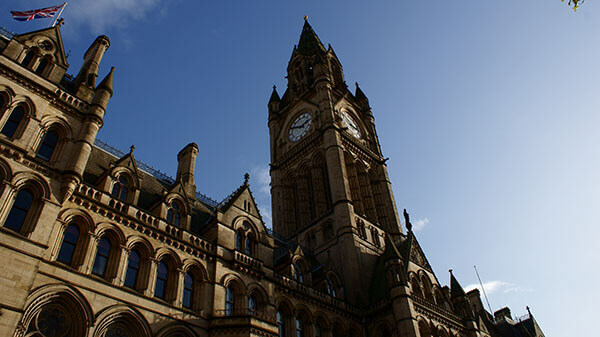 As well as being the third largest city in England, Manchester is the most visited after the capital, London. However, it's worth remembering that areas of Manchester, such as Trafford, were once separate from the main City area and existed as villages and towns in their own right. Whilst Manchester United could be said to be the world's most famous sports team, the football club has an extraordinary value. Most recently, in July 2012, it was valued by Forbes magazine at $2.23bn. According to sports consultancy firm, Deloitte, Manchester United has an estimated 75 million fans worldwide and the official supporters club has more than 200 recognised branches in over 20 countries. The name, Manchester is, as a result, very well known indeed. Manchester was the world's first industrial city and, as a result, went from a sleepy town to a metropolis in less than a generation. This has a great deal to do with the city's success in the production of cotton. Manchester's Ship Canal would have been the first man-made ship canal in the world had the original concept been built when it was first thought of. It was put forward as an idea in 1660 but wasn't actually completed until 1894. Although not the world's first, the Ship Canal did cause the building of a world first, in fact a world's only, namely the Barton Swing Aqueduct. The swing aqueduct is the only swing bridge that allows a canal to cross another waterway anywhere in the world. Transport has always featured in Manchester's history. Victoria Station is one of the world's oldest continuously operating stations and it is still the second largest station in the UK. The LMR (Liverpool-Manchester Railway) was opened in September 1830 and was the home of Stephenson's Rocket, one of the most famous names of the age of steam. It certainly wasn't the world's first, but Manchester Arena is one of the world's biggest indoor arenas, seating up to 23,000 for concerts and events. It was also the second busiest concert venue in the world on the basis of ticket sales in 2011 (1.2 million tickets sold). Only London's O2 was busier. Manchester has been particularly successful with Nobel prizes. There have been more than 20 prize winners from the City since the inception of the prizes in 1895, with 25 Nobel Laureates having worked at the University of Manchester and its associated institutions. Manchester was the location for the first ever splitting of an atom in 1917. The man to do it was Ernest Rutherford, a Canadian professor working at Victoria University of Manchester and the second of Manchester's Nobel Laureates. One of the most popular areas of the City is known as 'the curry mile'. In this area, there are over 70 establishments offering Asian dishes and competing for visiting trade. As these facts demonstrate, amongst Manchester's well known streets, galleries, theatres and shops lies a vast number of new places and spaces to explore. With so many unique facts and interesting histories, it's hardly surprising the City has become a popular tourist destination for those visiting and staying in the UK. Last updated by jack on 24 January, 2013 in Travel.